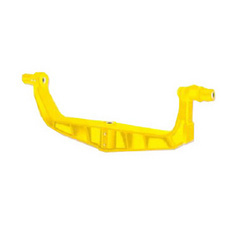 Our company has gained expertise in the manufacturer, supplier, exporter and wholesaler of Construction Machine Yoke which includes Millar Yoke With Bus, 5/7 Bag Yoke, Millar Yoke, Half Bag Yoke and 3/4" Bag Yoke with Bush. These construction machine yokes are fabricated under the supervision of our skilled industry professionals as per the latest industry standards and have impeccable finishing. Our company has gained immense recognition in the manufacture, supply, export and wholesale of Millar Yoke which have rugged construction and are extensively used for applications which could be light weight or heavy weight. Durability and excellent service life are the striking characteristics of these yokes. In addition to this, these undergo impeccable finishing according to the industry laid parameters. These Millar yokes require least maintenance and are corrosion resistant. Our company is involved in the manufacturing, supplying, exporting and wholesaling of Half Bag Yoke which have weight around 50 kg or 65 kg. Our customers can avail these half bag yokes in different specifications and ranges. In addition to this, these give trouble free operation and are well polished with anti resistant material. Further, these are extensively used in the construction industry and have smooth finishing. Our company excels in the field of manufacture, supply, export and wholesale of Sayaji Yoke with Bush which are primarily used in the construction industry. 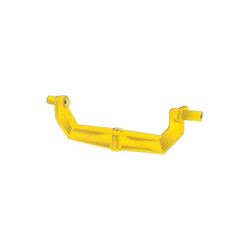 Possessing dimensional stability and precision engineered by our adept professionals, these miller yoke with bush give consistent performance for years. 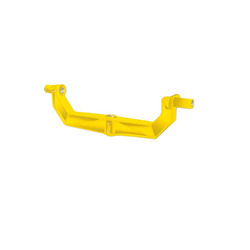 Further, these have excellent tensile strength and are available in various technical specifications. 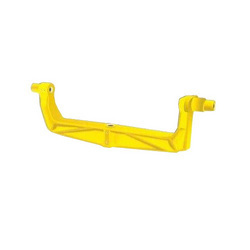 We are engaged in the manufacture, supply, export and wholesale of 3/4" Bag Yoke which are reliable and could be used for long periods of time. These bag yokes give excellent functionality and are manufactured at par with the set industry standards. In addition to this, these bar yokes are available in various technical specifications and undergo smooth finishing. Finally, these give efficient performance and have competitive prices. 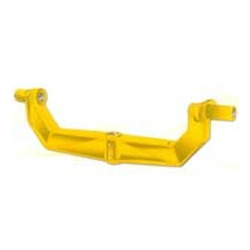 Looking for Construction Machine Yoke ?